Chapter 108: Hand over your Interspatial Bag! Su Yi’s eyes gleamed. The origins of those five people were certainly not simple. Within the mountain pass, Bi Ling’s spoke her beautiful robe was tainted with blood, her aura was weak and her face was pale, but the pair of lively eyes on her oval face still retained a stunning vitality. Zhouda stopped in his tracks. Then, he spat out a mouthful of blood, almost collapsing to the ground. He could only hold onto a giant boulder for support to stand upright. Guoyan hollered out furiously. His face was a deathly white, the corner of his mouth was stained with blood. He was in no better condition than Zhouda. “Make use of the little time we have to recover.” The expression on Senior Brother Qingfeng’s face was even worse. He popped an elixir into his mouth. His body was stained with blood, his aura was weak and he looked disheveled. The other four youths also took out healing elixirs and they ate them without any hesitation. All five of them all looked very disheveled, Bi Ling and Yiyun were no exceptions. All of them were injured, and those injuries were in no way light. Suddenly, just as the five youths had finished consuming the elixirs and wanted to find a place to recover, they heard a voice. Their expressions immediately changed, and they hastily looked towards the direction of the voice. Following their line of sight, the five people saw a familiar figure which had appeared from out of nowhere. His clothes were tattered, but he had a complex temperament. Yiyun was surprised. She looked at the youth who stood there with his saber and sword, looking at them with a deep but firm gaze. This was a sight that one could not easily forget. She could not help but take a few extra glances at Su Yi. Seeing Su Yi appear, Guoyan’s expression changed immensely. His eyes could not help but shift behind Su Yi as if he was trying to find out if there was anyone else behind him. Su Yi looked at the five people and casually smiled as he gradually walked towards them. 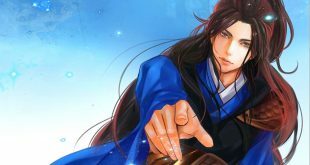 Seeing the state of the five people now, it was not hard for Su Yi to know that they had an intense fight with the adventurers and were already severely injured. Zhouda stared at Su Yi. He found it weird that this kid was alone. “Of course, it is only me.” Su Yi smiled as he walked to the space right in front of the five people. Guoyan could not suppress his anger any longer. He was forced into such a pathetic state and that he even had to retreat. When had he ever been in such a lowly state and humiliated by others? Finishing his words, Yuan Qi moved under Guoyan’s feet. He excluded a fierce aura as the sword within his hands went flying towards Su Yi. Everything happened because of this brat! How could he let him off? But suddenly, Su Yi who was in front of the flying sword vanished. Guoyan was no retard. At this moment, he knew something was wrong. There was a faint voice beside Guoyan’s ears. As soon as the voice stopped, a fierce aura plunged onto his back. Su Yi’s fist was brimming with Yuan Qi. With the “Hundred Transformations Step”, Su Yi dodged the initial desperate attack and went directly behind Guoyan. A fountain of blood spewed out from Guoyan’s mouth. His body fell forward and hit the ground face-first. Guoyan struggled to get up but his effort was in vain. He was already running on his last fumes and he was also seriously injured. Though Su Yi did not kill him, he did not show mercy. Qingfeng and Zhouda saw what happened and hollered. They both made their moves, each holding a sword. Drawing out his saber, Yuan Qi surged within his body and through the special meridians before converging on the large saber, causing a faint roar of a dragon to sound from the saber like that of thundering wind. Su Yi did not hesitate and immediately counterattacked. With the slash of the saber, a glaring light swept through the place. The terrifying aura surged through the air, the sound of the explosion was like that of thunder. Following the thunderous sound, continuous clanging sounds were heard. The swords of Zhouda and Qingfeng’s flew out of their hands, their bodies were sent flying back. The hands which held their swords were broken and a lot of blood seeped out of their wounds like a fountain. Zhouda and Qingfeng landed heavily on the ground and spat out blood once again, painting their shirts a bright crimson red as they struggled to get back up. Su Yi stepped forth, his saber leaning against the top of his shoulder. He squatted down and searched the three youths, and after he had taken an interspatial bag from each of them, he stood up satisfied. Seeing the unique appearance and tattered clothes of the young man who was carrying a large saber like a bandit, the scene made a special impact on the viewer’s eyes. Bi Ling and Yiyun stood there dumbfounded, stunned by what they were witnessing. Such a youth who was so peculiar had struck their hearts. Su Yi while carrying his blade with one hand, looked blatantly at the two young ladies and did not stand on ceremony. These people who came from a major sect would definitely have some good stuff on them. In his previous life, someone had once said, if you had no guns or cannons, your enemies shall make them for you. He had no major sect backing him and no large clans to provide him with cultivation resources, so he could only have his enemies deliver whatever he needed to him. Yiyun was in a daze. Her lush black hair was now in a mess. With her skin as white as snow, she looked at Su Yi shocked. How could this youth want their interspatial bags? Isn’t this robbery? Su Yi looked at the two young ladies in front of him. A smile crept up his face. These two ladies were quite the beauties. “How could that be? Those were all my lackeys. I advise you to just hand over your interspatial bags nicely without any tricks. If not, I will hand you ladies over to that bunch of males who would not hold themselves back once they see females. At that time, it would be too late to regret anything.” Su Yi looked at Bi Ling and Yiyun. How could he admit the fact that he was the wolf that won when the shepherds quarreled?